The Centre noted that a total of 6,383 contacts have been identified from 22 states. Of these, 439 (6.9 per cent) are currently being followed up, 5,846 (91.6 per cent) have completed 21 days follow up while 10 (0.2 per cent) were lost to follow up. 88 (1.4 per cent) symptomatic contacts have been identified, of which 30 (34 per cent) have tested positive from five states (Edo-14, Ondo-eight, Ebonyi-three, Kogi–three, Bauchi-one and Adamawa-one). 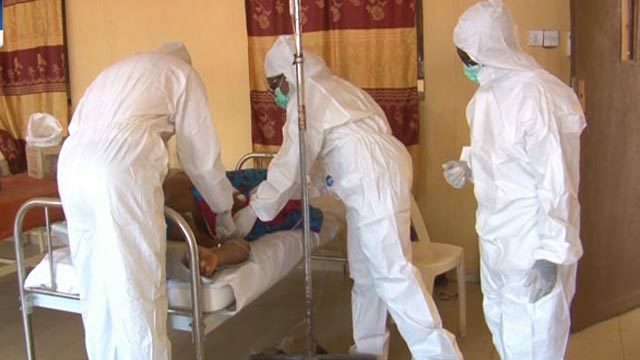 In another development, the National Primary Health Care Development Agency (NPHCDA) has attributed security challenges ravaging the North-East and other parts of Nigeria as factors preventing the eradication of poliomylietis in the country. Executive Director, NPHCDA, Dr. Faisal Shuaib, who stated this yesterday in Kaduna at the quarterly meeting of northern traditional leaders committee on primary health care delivery, said the agency had established national emergency routine immunisation to ensure wide coverage of immunisation against polio virus. Also, Shuaib, in an interview with journalists, however, said Nigeria had recorded tremendous improvement in health indices, adding that due to the achievement, the World Health Organisation (WHO) may declare Nigeria a polio-free country in the next 12 months.